Legalizing Marijuana In California May Boost Tobacco Use Too : Shots - Health News California boasts one of the lowest rates of tobacco smoking in the nation. Researchers worry that pot smoking will lead the way to cigarette smoking. Is marijuana a gateway drug to smoking cigarettes? "There is a concern that there could be a potential renormalization of smoking," says Michael Ong, an associate professor at UCLA's David Geffen School of Medicine. Ong says it will depend on how the initiative is implemented, whether officials follow through on the regulation, and how involved public health officials are with it. "It will be important to make sure that we don't have a setback in terms of what we have done for clean air in California ... and what we have done to reduce tobacco's harms," he says. Ethan Nadelmann, executive director of the Drug Policy Alliance, which supports marijuana legalization, defended the measure, saying there is no evidence that legalization leads to increased cannabis consumption — or tobacco smoking. California's adult smoking rate is the second-lowest in the country, at 11.6 percent, according to the California Department of Public Health. The smoking rate dropped by more than 50 percent between 1988 and 2014, cutting health care costs and reducing tobacco-related diseases, according to the department. Another ballot initiative passed by voters last week could push the smoking rate even lower. Prop. 56 will add $2 per pack to the tax on cigarettes and increases taxes on electronic cigarettes that contain nicotine and other tobacco products. The money will help pay for health care and increase funding for tobacco control and prevention. The marijuana initiative, Prop. 64, allows adults ages 21 and over to grow, buy and possess small amounts of marijuana for personal use. It also regulates recreational marijuana businesses and imposes taxes that will help pay for drug education and prevention programs. Bonnie Halpern-Felsher, a pediatrics professor at the Stanford University School of Medicine, says she is concerned that there may not be enough education and prevention written into the proposition, especially targeted at youth. Marijuana is already the most widely used illegal drug among adolescents. Many young people consider marijuana and blunts, which are marijuana rolled with a tobacco leaf wrapper, to be more socially acceptable and less risky than cigarettes, according to a recent study co-authored by Halpern-Felsher. The study also found that youths who saw messages about the benefits of marijuana were more likely to use it. Blunts are particularly worrisome because they contain nicotine as well as marijuana, Halpern-Felsher says. Many young people may not understand the risk of blunts or marijuana, she notes, and once they start thinking that smoking one product is acceptable, they may believe it's OK to smoke other things as well. "That's my concern," she says. "I do think people are going to generalize." From the tobacco industry's point of view, marijuana could serve as a "smoke inhalation trainer," and thus become a gateway to tobacco use, says Robert K. Jackler, a professor at the Stanford School of Medicine who researches tobacco advertising. He says tobacco and marijuana are marketed in similar ways — as products to help people relax and ease their stress. "There is tremendous overlap potential," he says. Tobacco companies could easily try to exploit that similarity to enter the marijuana market, Jackler says. They already have enormous influence on state laws and regulations, and could try to set up small dispensaries and make marijuana another one of their products. "The tobacco industry is always looking for replacement products because, at least in America, smoking is down," he says. "This will give them a new entry into the market. They are best equipped to exploit this market opportunity." In fact, the tobacco industry considered getting into the marijuana market in the 1960s and 70s and could easily do so, says Stanton Glantz, a professor at University of California, San Francisco School of Medicine. Glantz believes that even as the newly approved tobacco tax reduces California's smoking rate further, legalized marijuana will help sustain the tobacco market. He says he expected to see mass marketing and branding of marijuana over time. Along with some therapeutic benefits of marijuana, there are also health risks, Glantz says. "The likely costs that are going to be incurred by all the marijuana-induced diseases don't come close to being covered by the taxes that are written into Prop. 64," he warns. The initiative should have included higher taxes, graphic warning labels, provisions to keep demand low and a broad-based education campaign like there is on tobacco, Glantz argues. "The ideal situation is where it's legal so nobody is thrown in jail, but nobody wants to buy it." Legalization supporters said they don't believe the tobacco industry will get involved in the marijuana market until and unless federal prohibition ends. Marijuana is still illegal under federal law. Nadelmann, of the pro-marijuana Drug Policy Alliance, says it is misguided to conflate the two products. 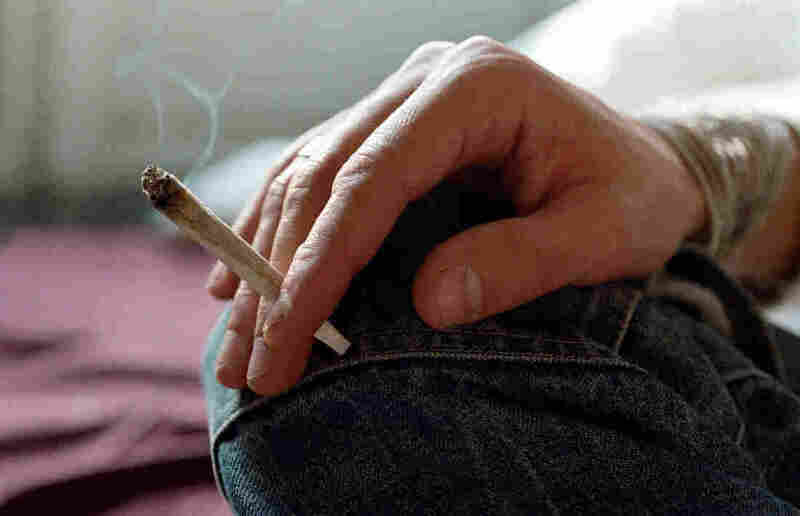 Young people can distinguish between the effects of cigarettes and marijuana, he says. "Teenagers are actually smarter than most of the adult propaganda," Nadelmann says. "They know smoking cigarettes is really stupid and that smoking marijuana is not such a major issue."